As a mom of a 2 year old, sometimes I feel like I just need to lie down! The past month or so I have been trying to read a bit before going to sleep every evening. And, I must say I am doing pretty well! It feels so good to get back to reading, even if it is just 10-15 minutes every evening. I just finished reading this book by Kristin van Ogtrop, editor of Real Simple magazine. 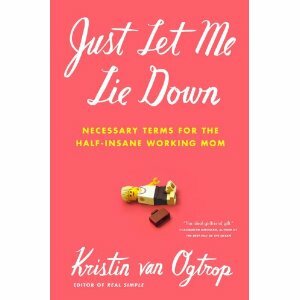 Just Let Me Lie Down is a funny and easy to read book about motherhood and working. Next on the reading list is The Help by Kathryn Stockett.